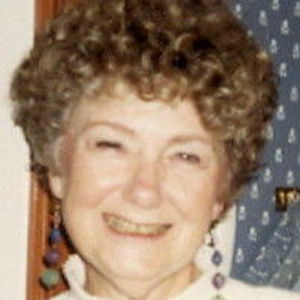 Evelyn J. Schaefer (nee Kappmeyer). 89, formerly of Westfield, NJ, passed away on March 21, 2019, at Fellowship Village, Basking Ridge, NJ. Born in Plainfield, Evelyn worked at Seaman's Bank in New York City before she was married. A resident of Westfield since 1962, she had worked for the former Wyatt Brother's Clothing Store and Crestmont Bank. Evelyn was a member of Trinity Episcopal Church in Cranford, where she was a member of various boards, including the Altar Guild. Evelyn was also involved with the Girls Scouts in Westfield, where she was a troop leader, and a mentor to Girl Scouts with special needs. She enjoyed antiquing, reading, hiking, and traveling. Mrs. Schaefer was preceded in death by her husband Frank J. Schaefer, and is survived by two sons: Frank Schaefer of Annandale, NJ, John Schaefer and his wife Teresa DeRubeis-Schaefer of Westfield, and daughter: Sally Mills and her husband Chuck of Phoenix, AZ, and nine grandchildren. Evelyn's Memorial Service will be 1:00PM Monday March 25, 2019 at Trinity Episcopal Church, 119 Forest Ave., Cranford. Contributions in her memory may be made to the Plainfield Area Humane Society, 75 Rock Ave., Plainfield, NJ 07063, pahsnj.org. Arrangements by Gray Funeral Home, Westfield, www.grayfuneralhomes.com. Add your thoughts, prayers or a condolence to Evelyn's guestbook.